It’s good to live in Colorado… and a few more states as well. Colorado finished in the top 10th for the ninth straight year, and has joined Hawaii as the only two states to earn this distinction. 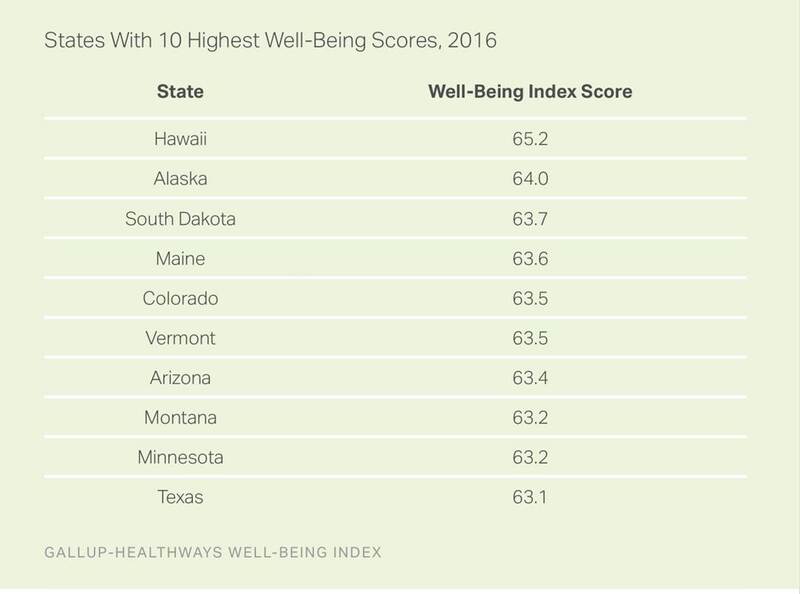 The Well-Being Index is calculated on a scale of 0 to 100, where 0 represents the lowest possible well-being and 100 represents the highest possible well-being. 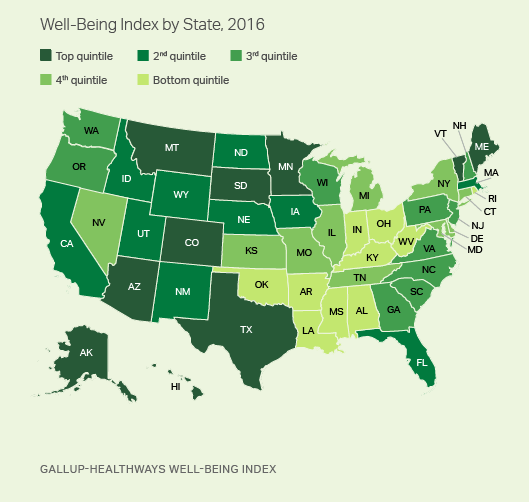 In most cases, a difference of 0.5 to 1.0 points in the Well-Being Index score between any two states represents a statistically significant gap. This entry was posted in Computers, Data Analysis and Visualization, Top 10, Top 20, Top 50, Top 100 and tagged top 10, top ten states, well-being index. Bookmark the permalink.